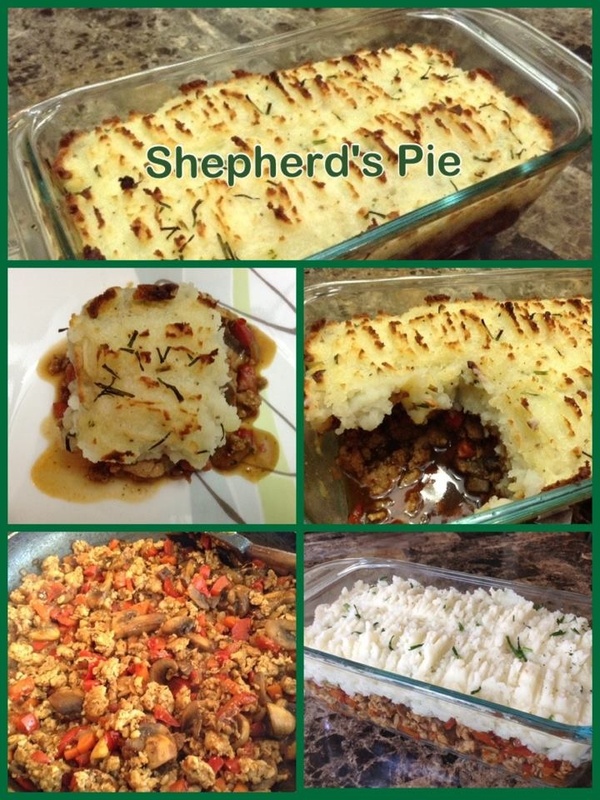 Shepherd’s Pie with Chicken / Soy Mince! Peel and cut potatoes into big cubes. Cook them in water till they are tender about 15 minutes. Drain potatoes, mash and blend with butter and milk till smooth. Add salt, pepper to taste. Blend broth/water with flour and set aside. Heat 1/2 tbsp oil and sauté the carrots For 4-5 minutes, then add the onions & peppers. Cook for another 10 minutes….until the vegetables are tender and lightly browned and then remove into a bowl. Heat remaining half tbsp oil and add the mushrooms, sauté for about 10 minutes until well browned. Transfer the mushroom to the bowl with the vegetables. Now in the same pan, add chicken mince/soy granules, thyme, salt, pepper and cook, stirring occasionally till the chicken/soy acquires light color. Now add the ketchup, Worcestershire sauce, cooked vegetables and broth mixture. Cook for 3-5 minutes…till the liquid thickens. Spoon chicken/soy mix into an oven safe dish. 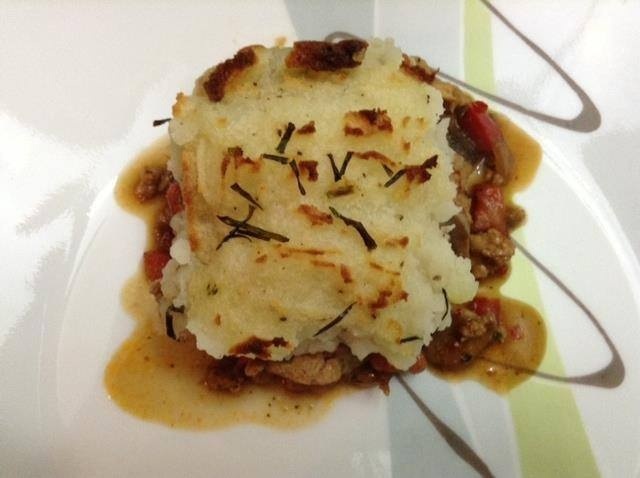 Cover with the mashed potatoes. Swirl the potatoes from the top using a fork. Bake in a 400 degree F oven for 20- 25 minutes or until the top is lightly browned. Adapted from Good Housekeeping Cookbook.